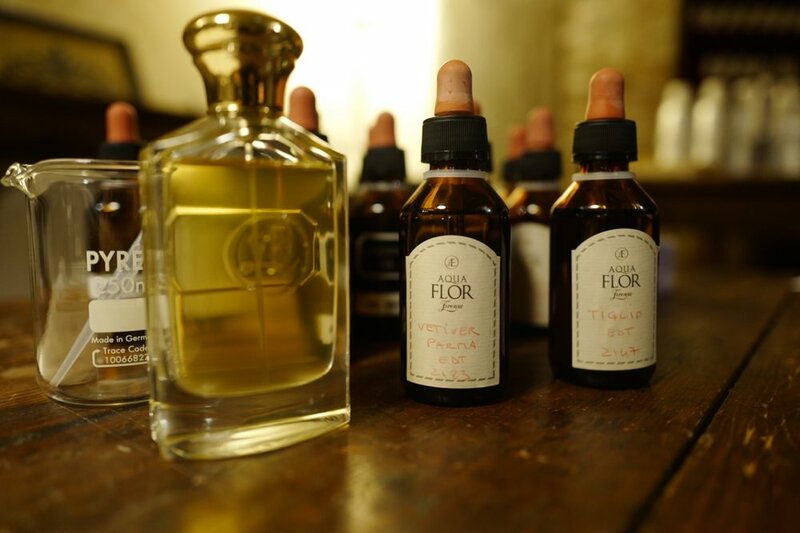 Aquaflor offers a variety of workshops on aspects of boutique perfumery. Options are available both in personal perfumery and in the design and creation of ambient scents. Each participant will have the opportunity to take part in a unique sensory experience, penetrating the mysterious and subtle world of fragrance creation. DESCRIPTION: A unique workshop on the secrets and the fascinating techniques of traditional Florentine perfumery, focusing on how to make a personal Parfum. Each participant will receive a 100 ml bottle of the fragrance created during the masterclass, along with its unique formula, notes on the lesson details, and perfumery references for further exploration. DESCRIPTION: A unique workshop on the secrets and the fascinating techniques of traditional Florentine perfumery, focusing on how to make a personal Parfum. The participant will receive a 100 ml bottle of the fragrance created during the masterclass, along with its unique formula, notes on the lesson details, and perfumery references for further exploration. DESCRIZIONE: Il workshop, aperto a tutti gli appassionati di profumeria, offre l’opportunità di esplorare le materie prime ed apprendere le tecniche per creare un profumo. Ogni partecipante produrrà e porterà a casa una bottiglia di 100 ml di Eau de Parfum creata durante la lezione, con relativa formula di produzione, appunti e materiale bibliografico di approfondimento.